If you’d like to experience a unique wine with the intensely fruit-driven vibrancy of a classic Marlborough Sauvignon Blanc, but with restrained, elegant overtones, then Collectables Sauvignon Blanc is perfect for you. Our commitment to organics has seen continual improvements in the flavour and mouthfeel of our wines as the vines become more self-sufficient and naturally balanced. 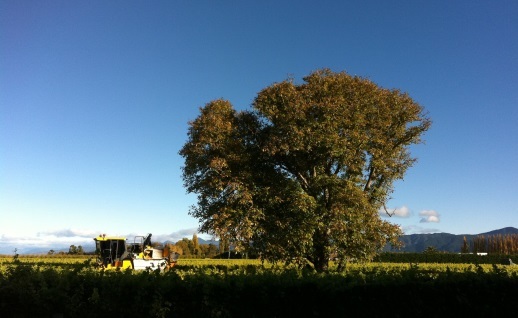 Light leaf plucking during the growing season ensures optimum sunlight and airflow, and the resulting fruit has a beautifully balanced intensity. Harvesting is done in the early hours of the morning to retain freshness and flavour. The grapes are de-stemmed and pressed, then slowly fermented in stainless-steel at a cool temperature using carefully selected yeast. After fermentation the wine remains on yeast lees for several months to build richness and mouthfeel. The wine is then racked and fined, filtered and bottled, capturing the essence of our land. 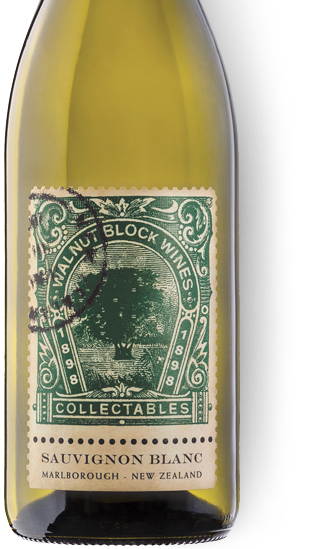 Walnut Block crafts its individual wines to develop and evolve over time, and this Sauvignon Blanc is no exception. While perfect to drink from first release, it will cellar for up to 3 years. A restrained Marlborough style, with enough grassiness and hints of elderflower, but a palate that is balanced between crisp apple freshness and more tropical tones. Beautifully done. Certified organic, this full-bodied, ripely flavoured wine is already drinking well. Grown in the Wairau Valley, it has tropical fruit characters to the fore, finely balanced, crisp, dry and strong. Balanced for easy drinking, this is a mouthfilling wine with fresh, ripe, tropical fruit flavours, lively acidity and good depth. A solid and well concentrated palate packed with flavours of passionfruit and ripe tropical fruits is the feature. The fruit has a lusciousness and the mouthfeel is soft, mellow and smooth flowing. Crisp and lively, this refreshing Sauvignon is nicely filled with vibrant citrus and peach flavours with gentle herbaceous notes. It's bright and expressive. At its best: now to 2016.